The condition of Excessive Sweating is medically referred to as Hperhydrosis. It is a common complaint in many individuals. Excessive Sweating is usually triggered by factors like heat, physical exercise, eating habits and emotional anxiety. Apart from these, certain diseases and disorders may also cause this embarrassing problem. Individuals suffering from this ailment tend to sweat profusely, sometimes constantly. The condition can be classified as primary or secondary depending on the underlying cause. Problems in the nervous system generally give rise to Primary Hyperhydrosis whereas Secondary Hyperhydrosis is mostly caused by specific disorders or hormonal changes. Therefore, it is essential to cure this disease as soon as possible. 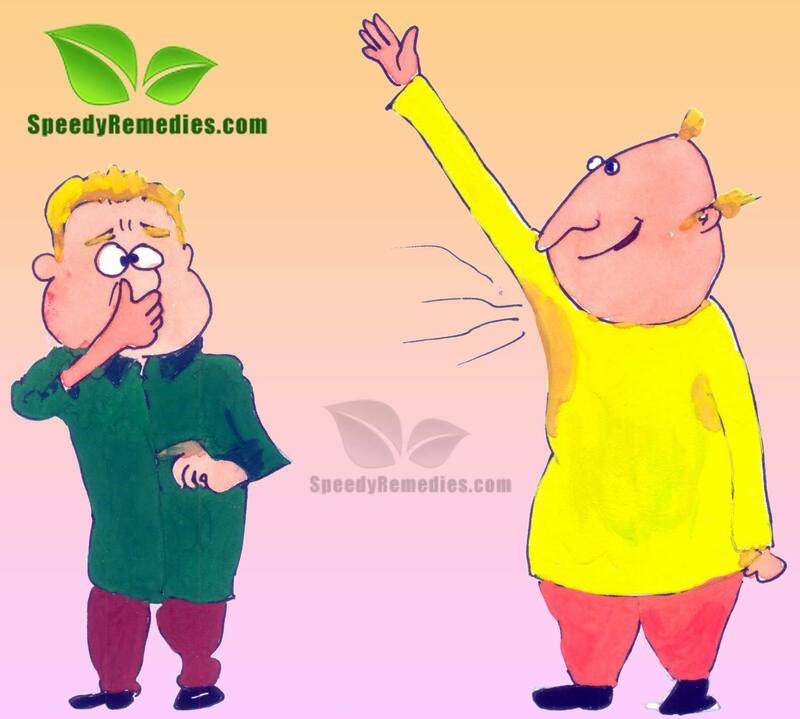 In this regard, several safe and effective natural home remedies for Excessive Sweating natural treatment are considered highly beneficial. On the other hands, certain individuals, unaware about the side effects of the conventional treatments, stick to the over the counter treatments and antiperspirants. The exact cause of Primary Hyperhydrosis is still not known. It is often associated with sympathetic over activity of the nervous system that increase the heart rate, anxiety level and blood pressure, thereby giving rise to Excessive Sweating. Certain foods, smells and caffeinated products tend to trigger this problem. Secondary Hyperhydrosis, on the other hand, is generally associated with issues like menopause, hormonal changes, infections, overactive thyroid gland, lung disease, heart disease, Parkinson’s disease, Carcinoid syndrome, cancer, psychiatric disorders or side effects of certain medicines. Obesity and Stress may also contribute in causing excessive perspiration. As the name suggests, Excessive Sweating is characterized by the presence of excess perspiration on the palms of the hands, underarms, soles of the feet or genital area. In case of severe, chronic perspiration, skin may become white, wrinkled or cracked, at times accompanied by redness and inflammation as well. • Drinking a cup of fresh tomato juice per day is one of the most effective natural home remedies for Excessive Sweating home treatment. After continuing this natural remedy for about one week, the dosage can be reduced to one cup every alternate day for yet another week. • Add some pomegranate peels in warm bath water and bathe with this water to cure Excessive Sweating naturally. • Steep one teaspoon of dried sage in a cup of boiling water for about 10-15 minutes, strain the mixture and finally take this herbal remedy two to four times per day to effectively deal with Excessive Sweating. • Apple cider vinegar and lemon juice are excellent natural home remedies for Excessive Sweating on underarms. Apply either of these natural remdies on the problem areas to reduce this problem naturally at home. Use lemon juice in combination with baking soda. • Apple cider vinegar can also be taken internally by having a mixture of two teaspoons of apple cider vinegar and two teaspoons of honey to heal Excessive Perspiration. Have this natural home remedy three times per day on an empty stomach. • Grind some roasted horse gram to form fine flour and apply this flour on the affected areas to eliminate Excessive Perspiration. • Using talcum powder after having a bath helps to get rid of Excessive Sweating and related body odor. • Cornstarch can be used as a natural alternative to deodorant for controlling Excessive Sweating. • Simply rubbing a slice of potato before applying deodorant is one of the best Excessive Sweating home remedies. Take a healthy diet with special emphasis on foods rich in zinc to heal this ailment internally. Plus, regularly drink about six to eight glasses of water per day to restore the excess loss of water in the body. Reduce the consumption of spicy foods, and alcoholic and caffeinated beverages. Besides, maintain proper personal hygiene and bathe regularly. Bath water can be mixed with a few drops of rose water for a more refreshing bath. Excessive sweating irritates most of the time. This is because of stress, anxiety and insomnia. A healthy lifestyle is helpful in reducing this problem.